In the Binfield Kingdom Chronicle, it is said that there was once a small, peaceful country called the Kingdom of Winfield, whose king and royal family possessed great white wings. Hamura Shou is newly enrolled at Yuusei Academy. After hearing about a student named Misonou Kai from the headmaster, Shou comes to believe that Kai is his younger twin brother, who he was separated from when he was younger. However, after a mysterious earthquake, Shou is suddenly carried into another world with two other students. It is in this new world that, after being attacked by a monster, Shou suddenly unleashes great, white wings. 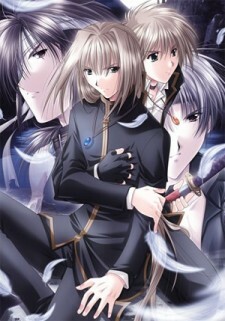 Watch Angel's Feather Episodes Online at Animegg.org. Angel's Feather is available in High Definition only through Animegg.org. Choose an episode below and start watching Angel's Feather in Subbed & Dubbed HD now.